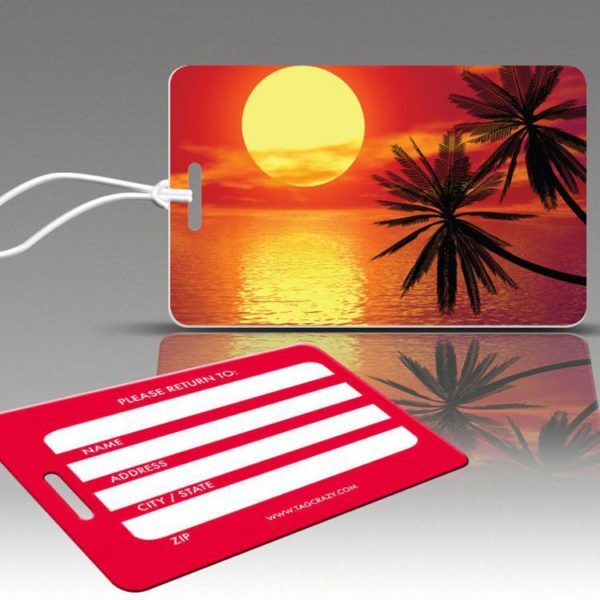 RED SUNSET luggage tags from our “Travel Collection”. 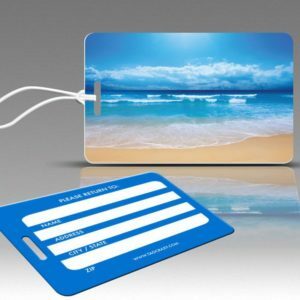 Constructed of plastic, these awesome tags are durable, waterproof and fade resistant. 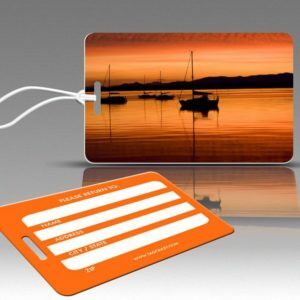 They are credit card size and weight with brilliant, highest quality color reproduction and image resolution. 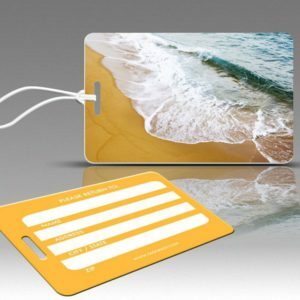 Backside design has 4 signature panels which can be personalized with your name and address information. 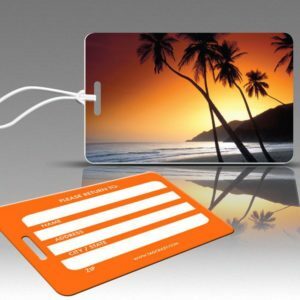 GREAT FOR YOUR NEXT TRIP, PARTY FAVOR, GIFT OR MEMENTO!